Dispatched, from the UK, within 48 hours of ordering. This book is in good condition but will show signs of previous ownership. Please expect some creasing to the spine and/or minor damage to the cover. Missing jacket. The dust jacket of the book is missing. Hallgren, Gary. Very Good. 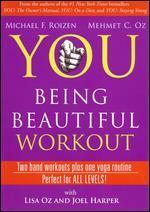 You: Being Beautiful: The Owner's Manual to Inner and Outer Beauty by Oz, Mehmet C. Glued binding. Paper over boards. With dust jacket. 419 p. Contains: Illustrations, black & white, Figures. Hallgren, Gary. Good. 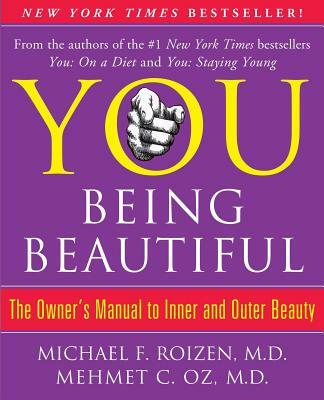 You: Being Beautiful: The Owner's Manual to Inner and Outer Beauty by Oz, Mehmet C., 2008-11-11. Glued binding. Paper over boards. With dust jacket. 419 p. Contains: Illustrations, black & white, Figures. Very Good. Glued binding. 432 p. 40 b/w illus. Multi-million-copy bestselling authors Drs Michael Roizen and Mehmet Oz show you how to look and feel fabulous your whole life long. Packed with excellent information and surprising advice, this is the definitive resource on how to use modern science to take care of every part of your body. Books by Michael F Roizen, M.D.